9 Responses to Morgan T-Shirts! Nice job Allie. They are unique,will they be available in other sizes at some point? very nice:) Will you have options later on? Sizes and other sketches? 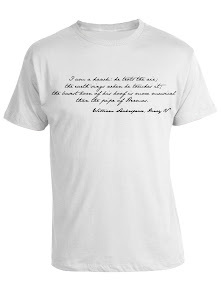 I love the top one even without the quote…just the sketch on the front. Just love the sketch and quote. I would definitely consider buying it. As a Northeasterner who shows in the cold evenings of May and September, I’d also suggest sweatshirts!!! A few of the women I show with do not wear traditional t-shirts, but are always shopping for horse related sweatshirts, and this would be right up their alley! Thank you all for the questions and suggestions! The above is my first sample run – I am planning to have a full range of sizes available in the near future. Likewise, I’ll be doing variations on this theme with different sketches and quotes. 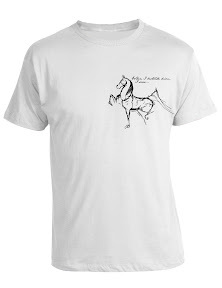 I’ll also be putting together some shirts without writing and with larger horses on them. I LOVE the sweatshirt idea as well. All requests, ideas, input and orders are so appreciated. More to come very shortly! I LOVE them! Yes, I agree with the sweatshirt idea. Personally, I love zip up hoodies with front pockets. That way you can unzip if you are getting warmer and I always need pockets for peppermints when I’m in the barn! Doing something sassy, say a pink t-shirt with silver metallic lettering/graphics and/or one small crystal on a hoof for a little pop would be hot, too! it’s all set up with paypal and is very easy to use! Thanks for your support everyone, this is step one towards putting me through grad school and keeping ham in comfortable accommodations too!